A historical eBook about Blanche, the White Queen of France, the manipulative mother-in-law of Marguerite in Sherry Jones’s Four Sisters, All Queens. Includes an excerpt to the upcoming Four Sisters, All Queens, to be published by Gallery Books, May 8, 2012. After the death of her husband, King Louis VIII of France, Blanche of Castille is distraught by grief over the loss of her love, but knows she must remain strong and prepare for the battle that’s to come to retain control of the crown for her young son. Against the odds and a multitude of enemies, both home and abroad, who have no intention of being ruled by a women or a young boy, Blanche prevails over her foes by relying on her courage, strength, passion and cunning. She truly exudes the traits of her grandmother, Eleanor of Aquitaine! 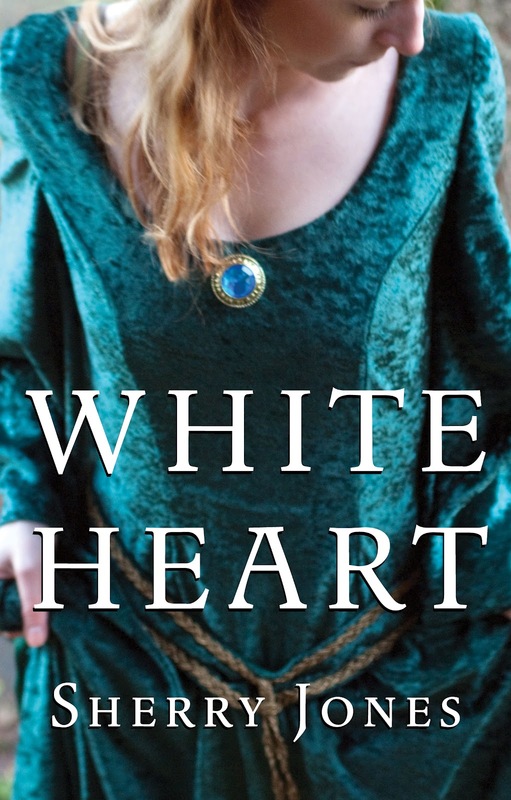 A concise 40 page ebook, White Heart effectively portrays a vital time in France’s history and Blanche’s life, as well as, sets the stage for the story of her son Louis IX and his wife Marguerite who are featured in Four Sisters, All Queens. I found it to be very well-written and thought that Jones did a fabulous job of bringing the character of Blanche to life, especially given the short length that she had to accomplish it. I can never get enough of reading about powerful women who triumph over the men who seek to control and dominate her and Blanche definitely is one of those. Her bravery and pluck is something to be inspired by! 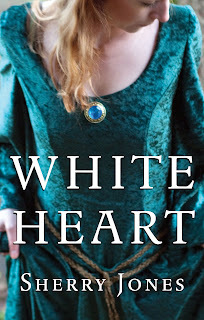 White Heart is the perfect precursor to Sherry’s novel Four Sisters, All Queens and I highly recommend it! White Heart is available as a Kindle ebook for $1.99. This sounds exciting. Thanks for the review! What an intriguing synopsis of this novel. I agree that reading about strong women in history is so heartening. Women in general are so strong and just as capable as men in getting things done and in being a leader. I lived in France for a number of years and so enjoy French history. I'm curious to know if Blanche was called the White Queen as her name means white in French. I'm looking forward to reading "White Heart" and thank you for sharing. I'm really looking forward to reading this one. I think I'll be downloading it today! I'm going to go download this as I really want to read Four Sisters, All Queens! Guest Post by Elizabeth Loupas + Giveaway!